Mexico and Croatia will have a friendly encounter on 28th May in Los Angeles. This match will serve as a preparation for Mexico, as they will have two CONCACAF qualifying matches in early June before the FIFA Confederations Cup. This key encounter will be a stress test for the squad managed by Juan Carlos Osorio and that’s why he had called a 32-man squad for the forthcoming matches. The most important players will all be playing: Javier Hernández, Andrés Guardado, Giovani dos Santos and his brother Jonathan, and the goalkeeper Guillermo Ochoa. Osorio also called the veteran defender Rafa Márquez. With 38 years, the former Barcelona player is still displaying a high performance in the national league playing in Atlas. Croatia have all their main players in club duties or other commitments. As such we won’t see players like Luka Modrić, Mateo Kovačić and Mario Mandžukić. Instead, Ante Čačić, the manager, called a team mostly composed by local players, with some players abroad such as the defender Tin Jedvaj (21, Bayern Leverkusen), the forwards Ivan Santini (28, SM Caen) and Duje Čop (27, Cagliari Calcio) and goalkeeper Lovre Kalinić (27, KAA Gent). With Mexico needing this match to tune-up their performance and with a better squad overall, a “home” win seems likely. The odds reflect this, with 1/4 as average. A match with more than 2 goals from Mexico is an average of 17/10. This shouldn't be too much of an ask due to the friendly nature of the match and the offensive style of the mexicans. One should expect an open encounter with lots of chances and goals. 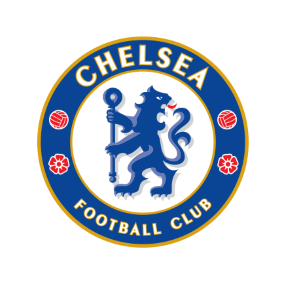 With the goal of Batshuayi against West Bromwich Albion what seemed inevitable finally happened: Chelsea won 1-0 and secured the Premier League title with a difference of 10 points over Tottenham Hotspurs and three matches remaining. The team managed by Antonio Conte had a wonderful season, and never risked the top place. The Blues became a fierce team and, more importantly, had the consistency required to carry the pressure of being on top of the most exciting football league with no issues. Conte managed to get a blend that not every team can achieve: a solid defense with an explosive offense. That is his main mark, as we saw in his spell in Juventus and Italy, and he did a great job printing it on the field this season. The team is cohesive, with three centre backs as the core of the defense and with every other player helping, and has a terrific transition once they get the ball. The great form of their attackers, especially Diego Costa and Eden Hazard, just made things easier. But it’s because Conte’s tactical system that they shine, and the fact that he managed to get a stable formation early in the season proved to be a crucial factor, over more “unstable” teams in those first weeks like Manchester City (managed by Pep Guardiola) and Manchester United (coached by Mourinho). It is true that Chelsea’s style isn’t the most attractive one out there. Even if they are the most scoring team in the league, the style of Chelsea is not a fancy one, and was labeled as “defensive”. It may lack some creativity at times, and this is something to improve (especially for Champions League, where games are tougher and decided by moments of brilliance), but the numbers proves those claims wrong. Not only Diego Costa and Hazard shined through the season: one special mention should be done for one of the best defensive midfielders in the globe: N’Golo Kanté. After his wonderful season at Leicester, his arrival to Chelsea was a challenge: he had to earn a spot in a team with a lot of great midfielders, like Matic and Cesc Fábregas. Not only had he made it: he was spectacular. His physical display mixed with his skills to read the field and always be well positioned made him a key player in a team where the tactical reading of a match was always a deciding factor. Other players, like Pedro, Willian and Batshuayi, helped by performing well when they had to. The defense saw high levels from David Luiz and Cahill, and Courtouis was a reliable goalkeeper with solid appearances as he has been for the last years. Looking ahead, Chelsea has some areas to strength: even if Diego Costa remains, another forward is on the verge, with names like Alexis Sanchez whispering around. A left back might also be a position to fill. Even if the team plays with three center backs, the left flank was the weakest spot during the league. Nevertheless, nothing is going to overshadow the excellent season that Chelsea had, and the Blues are going to be a hard bone to crack for any rival they may face next season in the Champions League.